This engagement ring and wedding band fit together seamlessly. 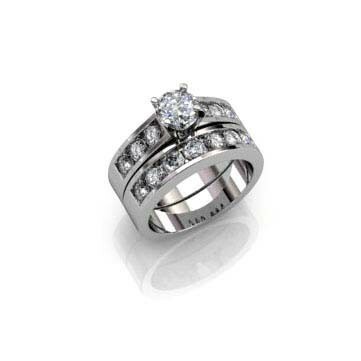 The engagement ring consists of a solitaire diamond with three diamonds channel set on either side. The wedding band has seven more channel set diamonds. Available in gold or platinum.